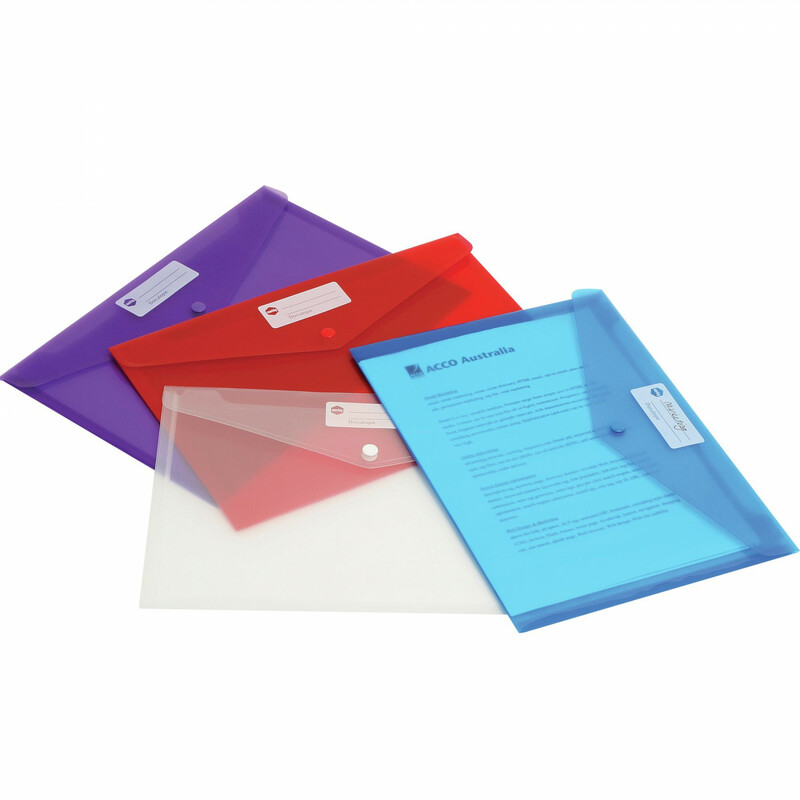 Stylish transparent document holder that is strong and versatile, with write on ID panel. Made from strong polypropylene which resists moisture and tearing. Features button closure to secure documents. For our Account Customers we offer free delivery for all orders to the local area. Contact us to discuss opening an account. For all other customers we provide delivery in the local area for $10. If you require a special delivery, contact us to discuss your options. The above conditions apply for delivery in the Hamilton region. Delivery to other areas may also be available. For detailed information about delivery to your area, contact us.